So you want to play acoustic guitar but don't want to spend years learning how? 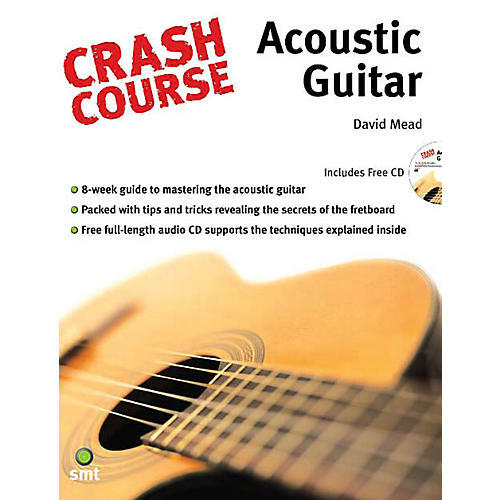 Welcome to Crash Course - Acoustic Guitar, an eight-week guide to mastering one of the world's most popular instruments. Over a two-month period, every aspect of playing acoustic guitar is broken down, explored and categorized, and the exercises show you how to recreate them from the notes up. Covering every angle, from tuning and choosing straps to seventh chords and advanced plectrum techniques, and with a free full-length demo CD, this book has everything you need to grab a guitar and hit the ground running.